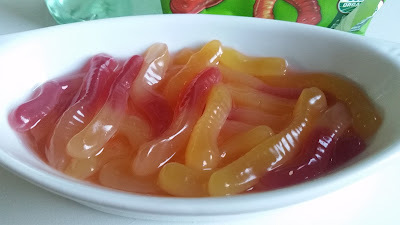 I got some free gummy worms so I thought I'd give them a soak in some booze. Vodka soaked Teddy Bears are floating all over the web as the newest big thing so, what the heck, I'll toss the free worms in some booze too. It's not like I haven't made candy booze over the years. Since the gummy worms I got were tropical flavored, I decided I would use rum instead of vodka. 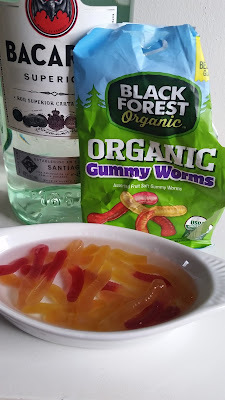 So, into my little bowl went the package of gummy worms and then some light rum. 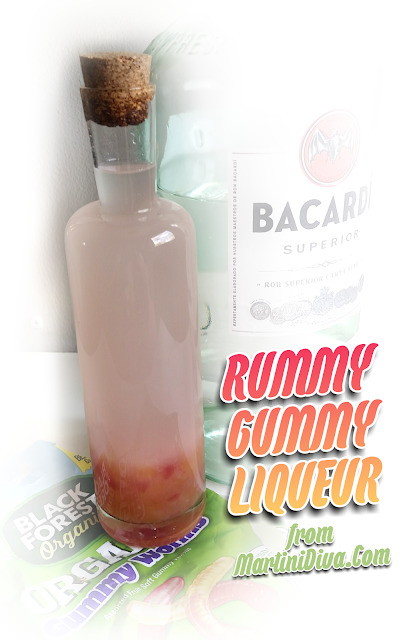 It took about 18 hours for the gummy candy to soak up most of the rum. 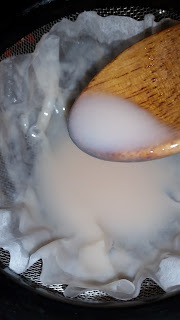 I could have let them soak longer, however they were already so drunk they were falling apart! Maybe gummy teddy bears are more stable, but I didn't get any of those for free.